I had the pleasure of reading both ‘Cinders & Sapphires’ and ‘Diamonds & Deceit’ back to back, and let me tell you, I enjoyed this series immensely! These books really made me think of Downton Abbey while I was reading them. 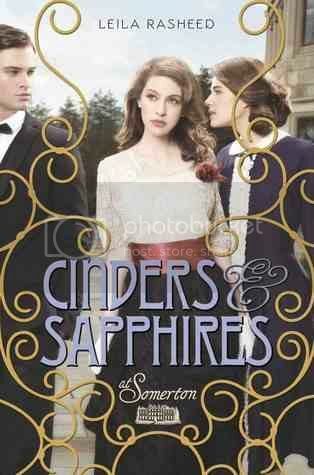 I guess you could say this is a YA version of Downton Abbey! Either way I say it, these books both make for a really great read. The story is told from many different viewpoints; too many to even mention them all. These characters that the author created are very well written and quite a few face wide range of issues throughout the series. What I really loved while reading ‘Diamonds & Deceit’ was watching the characters grow, especially the three main sisters; Ada, Georgiana and Rose. We see Ada trying to overcome a love that would never work out, Rose coming into her new position as a lady, and especially Georgiana learning to run a household all on her own. We also watch Ada and Rose as they come out in society for their first ‘Season’. It was all so interesting to read. These three sisters were such great characters, as were many of the secondary characters. They were all excellent! I love the setting and the time period for the story. I guess it is because I haven’t read too many books from that era, and I can see the time period is becoming very popular for books and movies now. I find it all to be extremely fascinating! 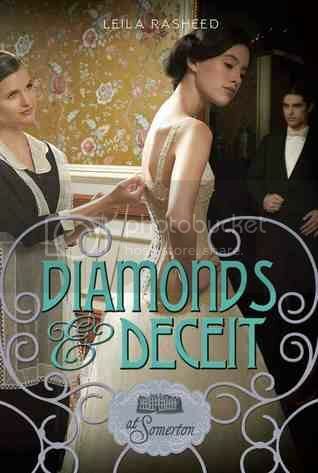 ‘Diamonds & Deceit’ ends on a bit of a cliffhanger, so I’m assuming that there will be another book in the series. (I have yet to find information to confirm this, but I am extremely hopeful!) I would really love to dive into this world again and again with even more books. Overall; I am completely fascinated by this series. I just can’t get enough! If you are a fan of Downton Abbey, I definitely suggest you check this series out. It’s well worth the read. Check it out and see for yourself! I liked the first book more than the second mainly because I thought Lady Ada becomes really dull in the second book. What I liked about the second book was Rose's story. For some reason I seem to find the stories of servants more compelling.